So you guys know that when I make something, I like there to be like a hundred different variations to it so that anyone can change it up to their liking. 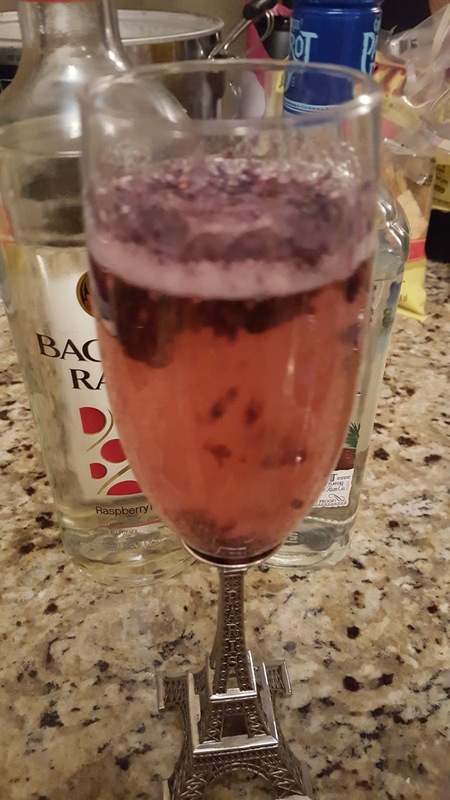 Enter in this drink. This is a blackberry spritzer that is perfectly refreshing as the weather turns warm and I seriously cannot get enough of this fizzy drink. So here's the thing, you can virtually use any fruit, any flavored rum, and any type of sparkling water (or even champagne) and this would be just as good. 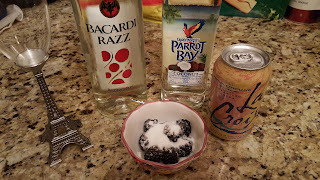 I happened to use blackberries because they were on sale at the store this week. 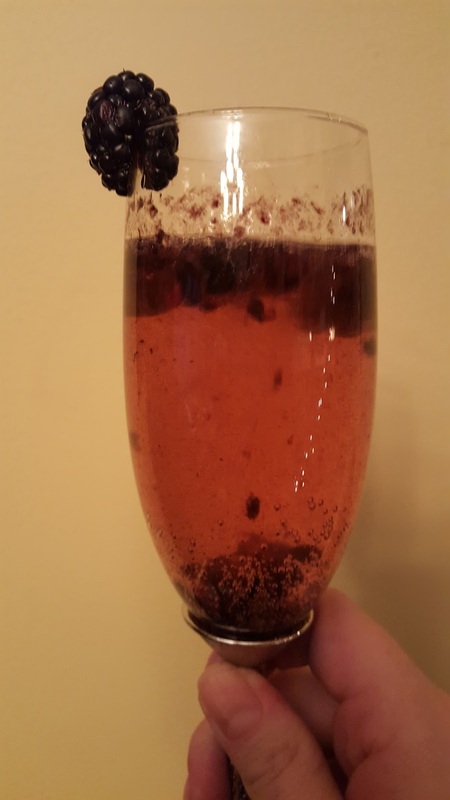 I muddled the berries with sugar using a fork and place them at the bottom of the glass. 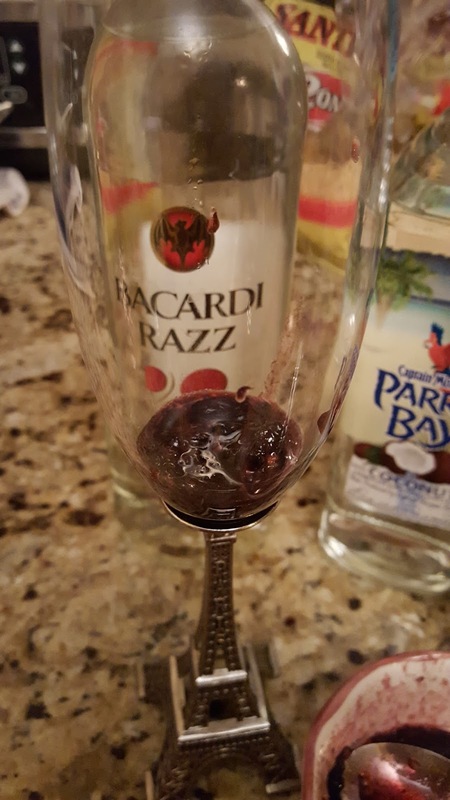 Side note, you can freeze the berry/sugar concoction to use for ice cubes in the drink, just as good! On top I added equal parts coconut and raspberry rum (now this doesn't seem like a large amount but remember how small a champagne flute is) and topped it all off with sparkling water. I only had grapefruit flavored sparkling water and while I wasn't sure how the combination would go...it was actually super delicious. 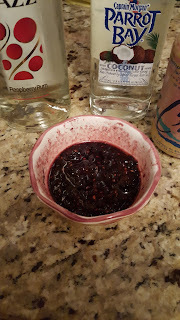 I also love that you can make this in a big patch by pureeing a ton of berries in a food processor and using a pitcher...or you can make it as a single for those nights you just need a night cap. 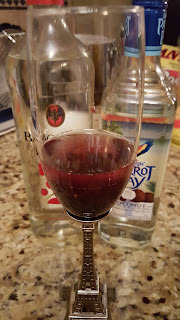 As always, this is a recipe where you can add as little or as much alcohol as you like and totally make it to your liking. 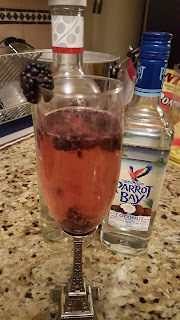 I also love this recipe topped off with champagne...which would be totally amazing with some OJ and muddled pineapple...a sort of island mimosa if you will. The possibilities are endless and if you know me, that's exactly what I like in a recipe! Yum, yum yum...this looks so good and I 'm sure it's tasty too. Thanks for sharing the recipe! My husband would LOVE this, he loves blackberries!! YUMMY!! Oh yum yum yum! My boyfriend and I are always looking for new drinks to try, this sounds like a winner. This looks so delicioius! 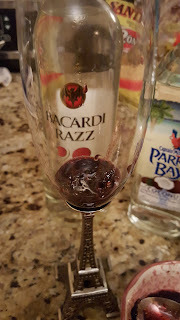 I love any drink that involves coconut rum! Looks yummy! I love blackberry..
Looks delicious Kim! 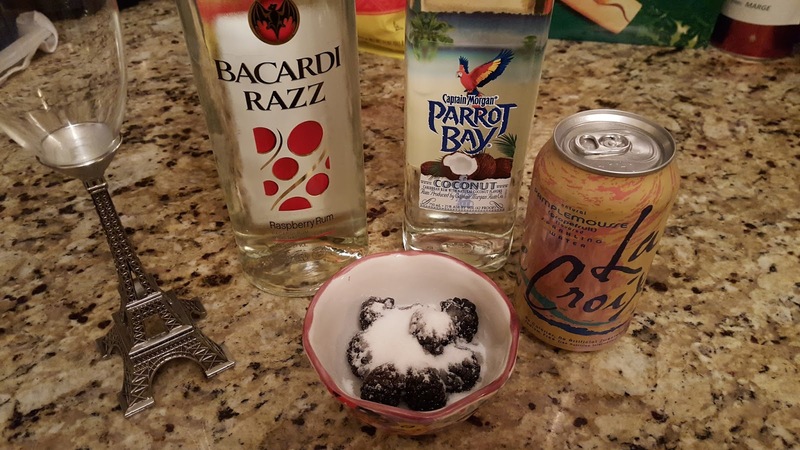 I love blackberries so this would be right up my alley. Also, your champagne glasses are adorable! I hope you enjoy the rest of your weekend!